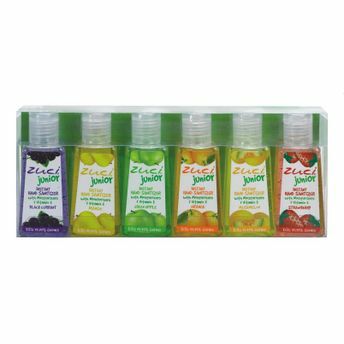 Gift your little loved ones the fruity fragrances and help them maintain their health while having FUN! Cleans your hands wherever you go, leaving it scented. Contains moisturizers & vitamin E beads that leave your hands cleaner & smoother. Special Imported Fragrance from UK. Contains moisturizers & vitamin E beads.